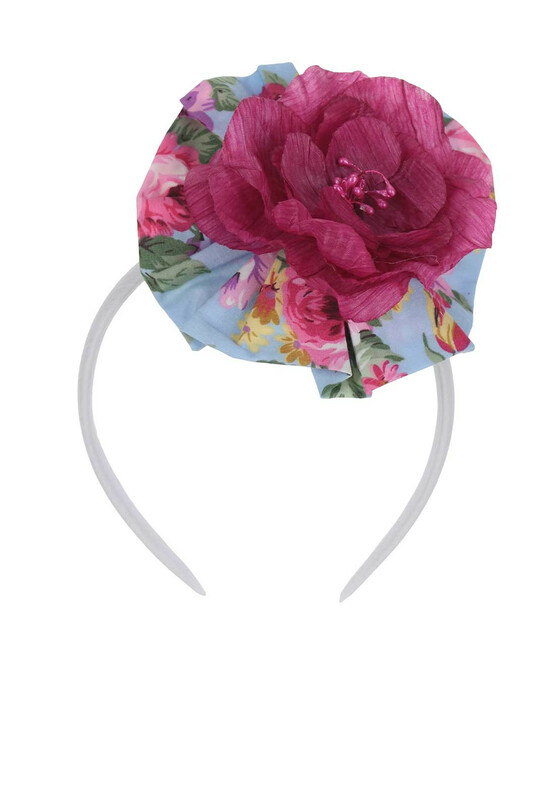 A stunning decorative hairband from Bea Cadillac embellished with a blue flower print fabric and a sunning pink blooming flower. 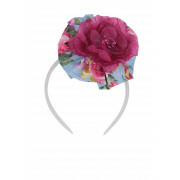 This fabric covered band will sit neatly and gently on her head and will look stunning with the range of matching Bea Cadillac outfits. A vintage inspired look for your mini fashionista.